You can have clean and great looking carpets again with our professional commercial and residential carpet cleaning services. Our experts in California offer rug, upholstery and tile floor cleaning services too. We provide water extraction and mold damage cleanup and repair to distressed households and businesses. Email us your problems with carpets today! We offer same day carpet cleaning service and are fast in water damage restoration. We offer profound work with ecofriendly products, which are completely harmless to humans and pets. It's time to forget about carpet stains and trust the competence of our experienced cleaners! Call us now for an estimate! 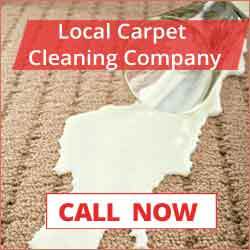 The professionals of Carpet Cleaning Monterey Park are the best in California and specialize in odor removal. We follow the most methodical procedures with oriental rugs and have the experience to clean well upholstery, sofas and rugs of any type. Call us for immediate mildew inspection today! We offer both residential and commercial carpet cleaning services! Make an appointment for carpet maintenance now!